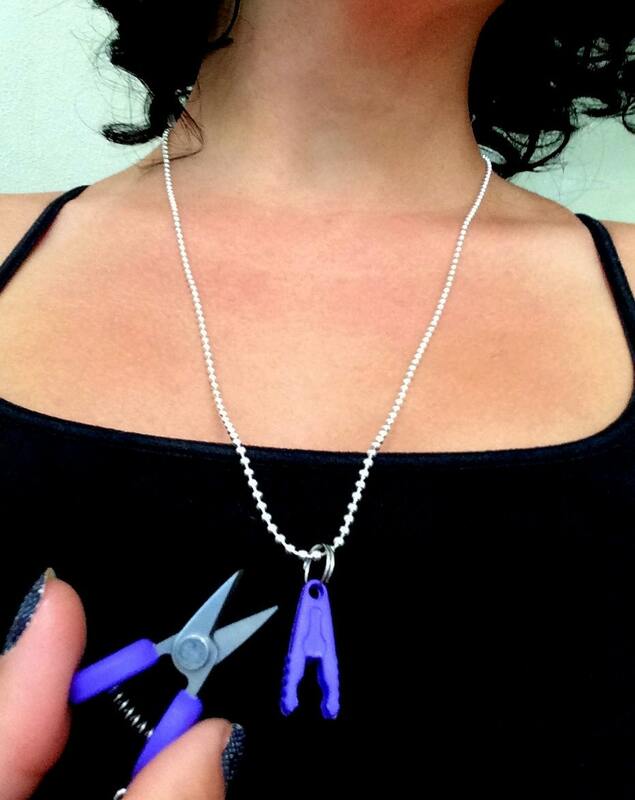 Now you can keep your tiny scissors and a removable stitch marker even closer at hand - by wearing them around your neck! 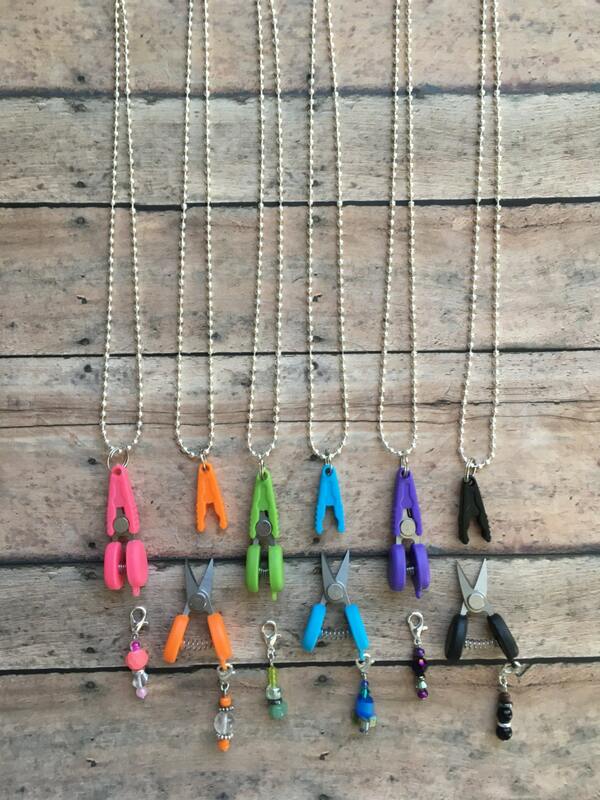 Our super-sharp, tiny scissors have been strung on a lightweight, silver toned ball chain. Attached to the bottom is a coordinating stitch marker, hand wired onto a lobster clasp. You can easily slip the necklace on over your head, but there is also a clasp should you prefer it. 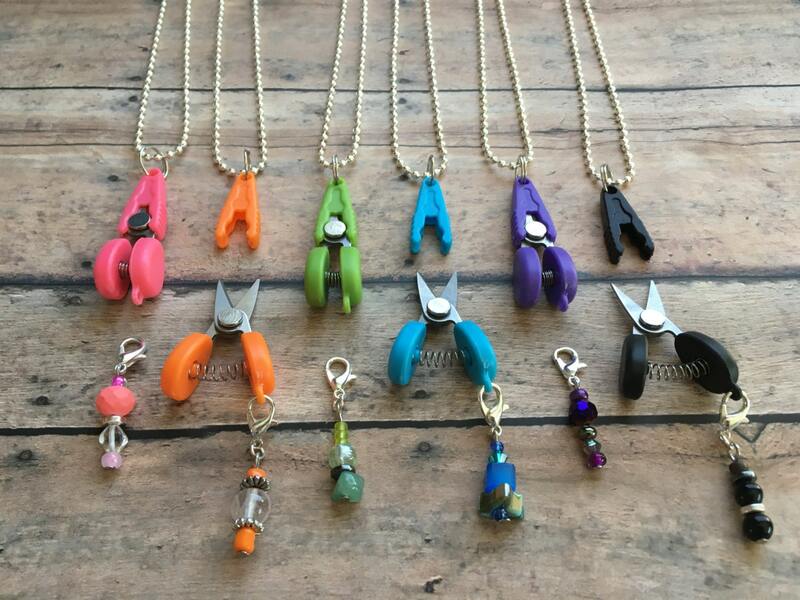 The scissors' cap is attached to the chain, which means that you can easily disconnect the scissors from their cap for use without having to remove the necklace from around your neck! Scissors measure approximately 1 7/8 in/4.69 cm tall and are spring loaded. These have sharp tips and are approved for air travel within the US. Ball chain measures 24 in/61 cm long. Each necklace is made to order; the beads on your pair will vary slightly from the photos above, but WILL coordinate with your selected color of snips. 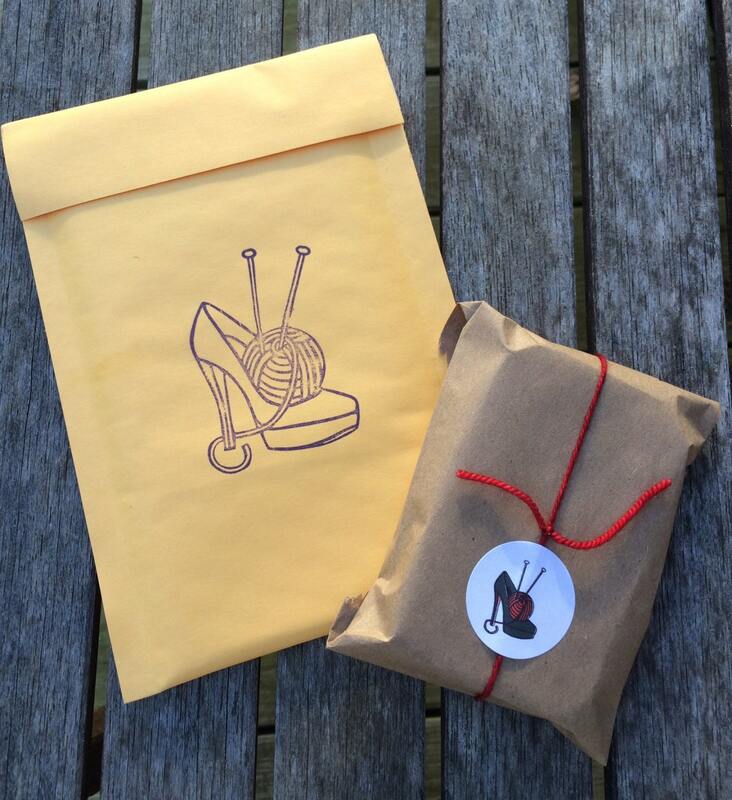 We think that having each pair be unique adds to their charm!